Arcade Fire - Reflektor : Whenever I think of Arcade Fire, the first word that comes to mind is nostalgia. The dreamlike ‘Funeral’ and the angst ridden ‘Neon Bible’ send me back to simpler times, riding into the night with my closest friends, windows down, music deafening, feeling a sense of invincibility and wonder. In a way, it’s this nostalgia that has cemented Arcade Fire as such an eminent and influential group of contemporary musicians. But while nostalgia can create a deeply emotional connection between the musician and the listener, it can also lead to more stringent criticisms and greater resistance to change. Arcade Fire’s fourth studio album entitled ‘Reflektor’ is an ambitious double album that spans 75 minutes and debuts a range of new sounds and rhythms, retaining its emotional depth albeit not necessarily its immediacy. Inspired by their time spent in Haiti, Regine Chassagne’s birthplace, the band has placed a heavy emphasis on percussion, incorporating the rhythmic styles of the Caribbean and working with the brilliant James Murphy of LCD Soundsystem. The album gallops forward fervently, eliciting at first a delinquent foot tapping compulsion that inevitably develops into spastic bodily convulsions. However this is not to say that Arcade Fire has abandoned their ability to emotionally engage their audience. 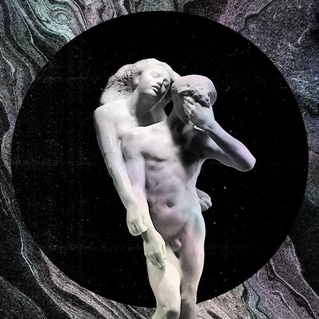 On the contrary, Reflektor is full of themes reflecting love, faith (or lack there of), tragedy, and the digital age. ‘Here Comes The Night Time’, arguably one of the albums strongest pieces, begins as a charming, jaunty track that slowly darkens as Win sings of uneven wealth distribution, the importance of music in society and the hypocrisy of faith. “When you look in the sky” he sings, “just try looking inside, God knows what you might find.” Although this isn’t the first time we’ve heard Arcade Fire question the infrastructure of religion (Neon Bible), it is done with more subtlety and grace than ever before. And while the first side of the double album is filled with energy and rhythmic allure, the second side seems more refined and intentional, establishing ‘Reflektor’ as a truly ambitious work. Loosely based on the tragic Greek love story of Orpheus and Eurydice, Arcade Fire let loose a relentless amalgamation of heart-wrenching songs that attempt to evoke your deepest seated emotions. ‘Awful Sound (Oh Eurydice)’, a personal favorite, pulls from ‘Funeral’s’ large, anthemic sound, and explores the tragedy of unrequited love. ‘Afterlife’, a song dripping with trepidation, recalls sounds from ‘Neon Bible’ while delving into themes of death and what lies beyond. The songs on ‘Reflektor’ are multidimensional and dynamic. Arcade Fire, with the help of Murphy, have liberated themselves from the shackles of their past work, substantially expanding their horizons and surpassing expectations. They have conceived a starkly original formula with similar results, an album that captures the imagination of its audience. Reflektor as a whole is incomparable to anything they’ve attempted before, allowing them to avoid the hard to please nostalgics while displaying their brilliance and creativity. Go into it with an open mind, you wont be disappointed.